The skin around your eyes is very thin and delicate, with few sebaceous (oil-producing) glands. That’s why it’s less resilient—more prone to fine lines, puffiness, and dark circles that can make you look older than you are. This amazing dark circle eye cream nourishes and supports the fragile skin around the eye while gently easing away old melanin. 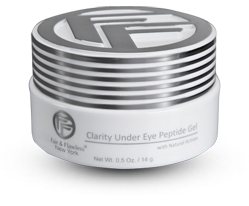 You’ll quickly notice you look younger, refreshed. Fine lines and wrinkles are less visible. The skin looks brighter, smoother. Darkness is erased. 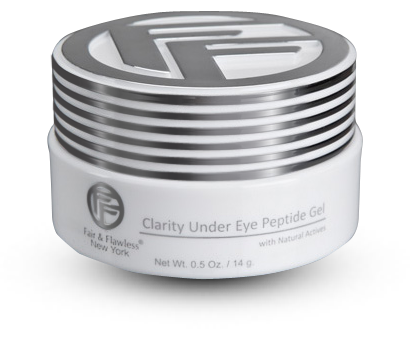 With continued use of your new favorite under eye circle cream, you’ll find the skin actually becomes more firm and elastic—and the years drop away. To use: Dab a tiny amount on your finger and pat over the under eye area. Combine with your favorite Fair & Flawless facial moisturizer for all-over brightening and lightening. Always had issues with dark circles under my eyes. I would cover them with makeup all the time. My fiend suggested this product and I gave it a shot. Very pleased with results. It took about 30 days to clear the dark circles out, but now I have the confidence to leave the house without makeup! After one month of daily use, here is my verdict: This stuff works. It's not magic, it's not a milrcae, it doesn't transform every wrinkle and age spot. But it makes your skin look BETTER than before, which is all we can really hope for, isn't it? I've noticed a somewhat dramatic change in the fine lines around my eyes (no, I don't use a separate eye cream). They are smoother and much less noticeable. The few age spots I've developed seem to be lighter. Overall, looking at my face in the mirror now, I sometimes have to do a double-take because my skin looks so much better and brighter. The permanent dark circles under my eyes are even lighter. I have acne prone skin and I was nervous about using a new moisturizer, but quickly found that my skin actually CLEARED UP while using this product. Likely, it was due to my regimented focus on skin care in general, but this did NOT contribute to any breakouts at all. This is one product I can see myself using for a very long time.